There's a big difference between being easy going and being passive. The first allows you enjoy life more than someone who's always worked up about the little things or the stuff he cannot control. Being passive is a problem. It assumes that the old saying "que sera, sera" or "whatever will be, will be" is true. While being easy going might be a virtue, being passive is a liability. I have enough self awareness to know that I'm not easy going by any means. My natural tendency is to micromanage just about everything. I'd like to think I have become better with age at letting things go and trusting capable people to do their jobs. But It's not an easy thing for me. Just ask my wife. As I think about my propensity to be more passive than I'd like, I try to find out what motivates me not to deal with something I know needs fixing or not to pursue an opportunity with all the energy and resources available. After all it doesn't make sense for a control freak not to want to be proactive. Or does it? People who are motivated by fear will fret over the smallest, most insignificant details but will avoid the confrontation, the pursuit, the push that will have the most benefit. Think about it. If we operate from a fear base and not from an opportunity base, our biggest concern is not to mess up, lose, get fired, get found out. Only when we shift our thinking from fear into possibility, then we'll be able to move from being passive to being active. 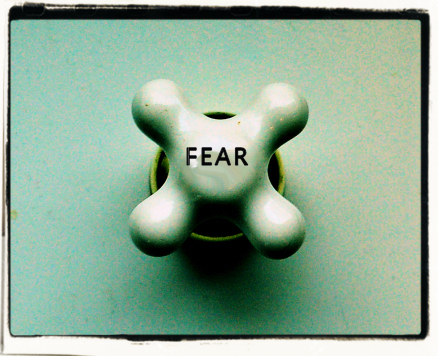 Unless we are ok with failing, we cannot move away from fear-based thinking . Ultimately, the freedom to fail drives the courage of possibility and overcomes the paralyzing fear of passivity. The longer I live, the more I believe there's no other way around this one. As the Bible points out we cannot serve two masters, I say we cannot have two primary motivators driving our key decisions. What I am not saying, however, is that we should throw caution to the wind and take foolish risks. How much of control freak are you? How much do you avoid confrontation?